The world's best know carpenter pencil. Flat pencil lays down a long lasting, smooth, rich black mark. Red pencils with black stripe are easy to see and easy to sharpen. Available with Soft, Medium, Hard and Economy Medium graphite core. 12/sleeve. PMA Certified non-toxic. Empire Level is a world-leading designer and manufacturer of levels and offers a complete range of solutions in the layout and measurement category. With industry firsts such as the Monovial, the Torpedo Level and the Magnetic Level, Empire continues its tradition of bringing innovative solutions, with superior durability focused on improving productivity and user experience. 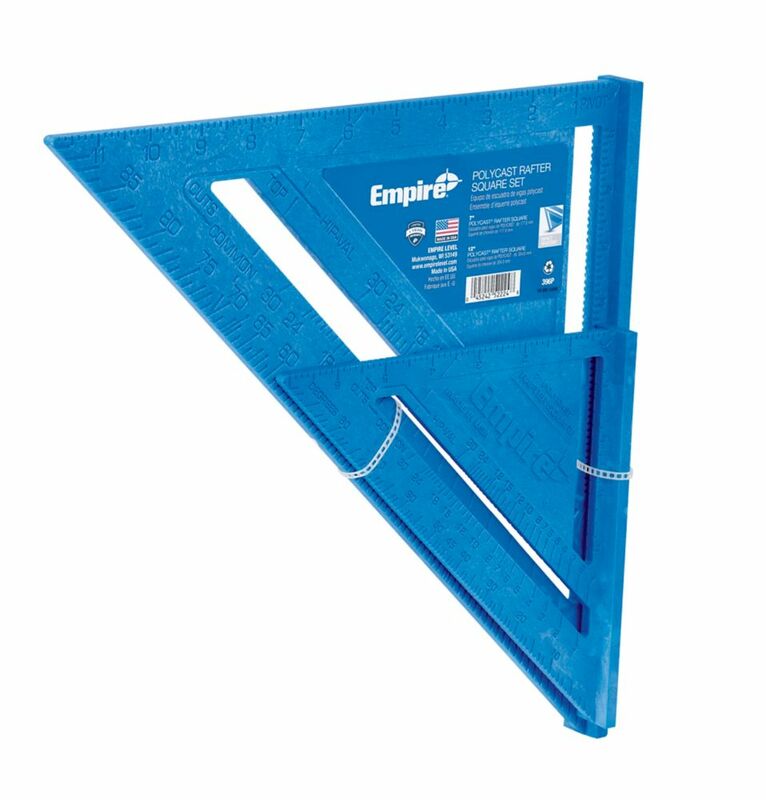 The Empire 860 Box Level Series was designed to meet Empires best-in-class standards while implementing key user insights to guarantee accuracy, durability, and reliability. The 860.48 features a 300-degree high contrast center block vial viewing system to optimize readability from multiple positions. Inkzall Jobsite Markers feature clog resistant tips and the ability to write through dusty, wet or oily surfaces. The durable marker tips are designed for writing on rough surfaces such as OSB, cinderblock and concrete and the ink dries quickly to reduce smearing markings, without drying out quickly when the cap is left off. For added user convenience, the Inkzall markers have a built-in hard hat clip for easy storage and access. Inkzall markers confirm to Milwaukee's commitment to best-in-class durability and their relentless mission to provide innovative solutions to the end user.